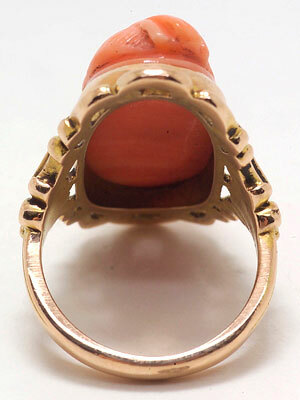 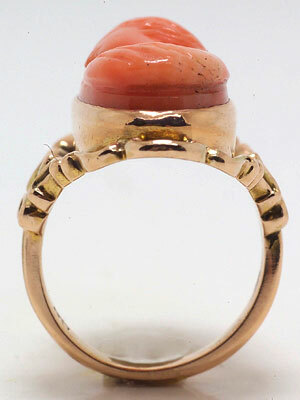 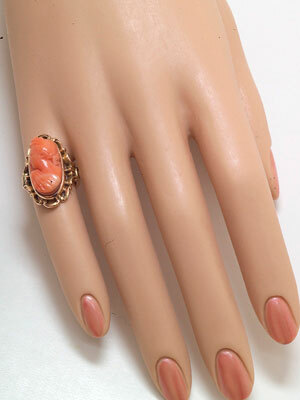 Antique Victorian coral rings like this late 19th century dinner ring have a Roman princess appeal. 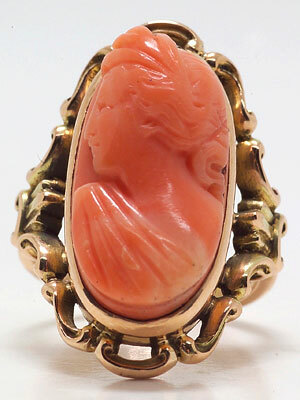 The coral gemstone that highlights this Victorian ring is carved with a toga-clad goddess. 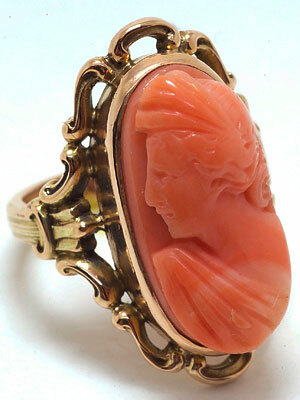 The 14k yellow gold band is done in a fancy scrolled pattern that showcases the coral cameo. 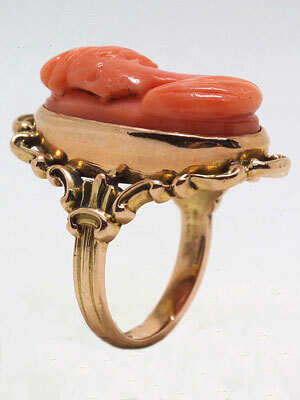 Circa late 1800s.